Pope Francis urges Burmese Government to allow Rohingyas to live in peace. Pope Francis has come out in strong criticism of the atrocities committed against the minority Rohingya Muslims in Burma. He also criticized the Burmese government for supporting the violence and called for the rights of the minority community to be defended. In his comments, the leader of the Vatican attacked the Burmese regime and spoke of how the Rohingyas had been massacred for just practicing their faith and culture. 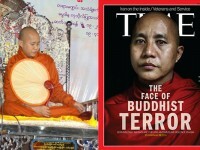 However, the Burmese government denies its role in these atrocities. The Rohingya community in Burma is made up of around 1.2 million people. The Pope’s comments came as part of an unprepared section during his weekly address. It is believed that the Pope responded to the flash report published by the U.N., which, spoke of the Rohingyas being abused, raped, and murdered by the Burmese military. Pope Francis referred to the Rohingyas as a group of good and peaceful people who were sisters and brothers. He then went onto pray for the Rohingyas and other migrants who experienced similar situations. The prayer took place in the Paul VI Hall, where the Pope was joined by 7,000 members. The Burmese Government has been preventing access to the location where the genocide is believed to be taking place. As a result, it has been difficult for the media and concerned authorities to collect verifiable data or information. According to a recently published U.N. report, Myanmar’s security forces have even killed Rohingya children. The report was compiled after U.N. representatives interviewed around 200 refugees from the community, who had fled to Bangladesh from Myanmar. U.N. High Commissioner for Human Rights, Zeid Ra’ad Al Hussein, called for the international community to show its strength and urge Burmese leadership towards ending the atrocities. But, despite the report, not much has been said or done by the international community at large. Currently, human rights groups are working towards urging the Burmese government into permitting an international investigation into the alleged crimes committed by the country’s armed forces against the Rohingyas. The Rohingyas are a minority Muslim community that took up residence in the Northwestern region of Myanmar. However, they are not considered to be citizens, which is one of the key factors fueling the discrimination against them. 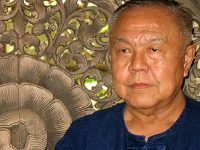 The Buddhist majority treat them as illegal immigrants, despite the fact they have lived in the region for generations.